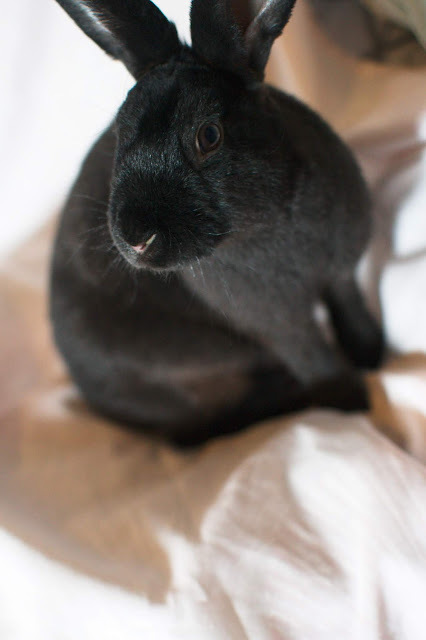 PS: Monet (we think) is one of the four older siblings looking for their forever home. The two boys and girls had very sweet dispositions, were very friendly and curious. I myself was quiet as a mouse, in bed with the sheets over my head and all the lights on ... when carrots tremble the end is near. Oh, give some carrots to the silky black bunny!